Once designated as extinct in the wild, captive breeding programs have reintroduced this wild horse to the shrub-lands and plains of Mongolia. 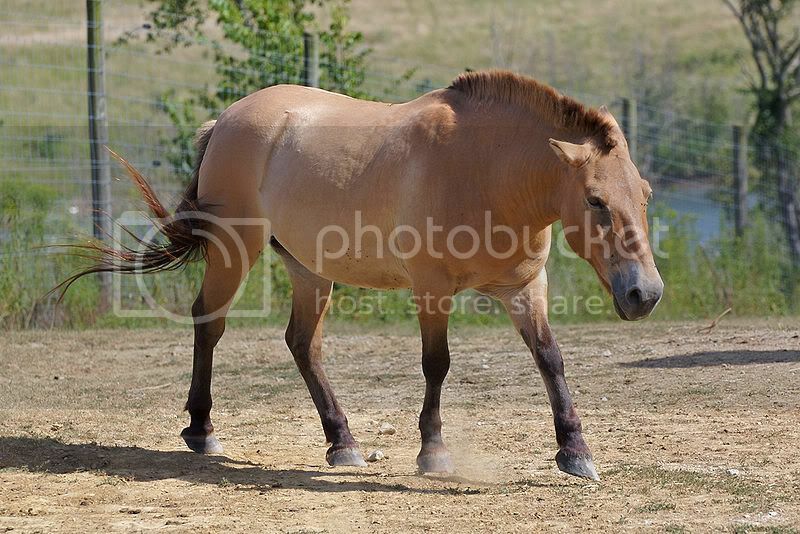 Przewalski’s horses graze primarily on grasses and other vegetation. They live in social groups consisting of a dominant stallion, a lead mare and other mares and their offspring. Stockier and shorter legged than a domestic horse, males defend their mares more actively than they defend their territory. The only wild horse left in the world, Przewalski’s horses are threatened by habitat loss.